The Professional Diving Centre commercial diver training courses have been designed with students and dive companies in mind, and aimed at you achieving a successful career in commercial diving. This happens when attending a course at PDC as we do not offer the minimum training for the minimum money. In this career, you are employed part time. Therefore, you have to know what you are doing and be an asset to the dive team and company you are working for. This cannot be achieved when you attend a course with the minimum training at the minimum costs. Professional Diving Centre focuses on small, intimate classes with around 12 students per course. 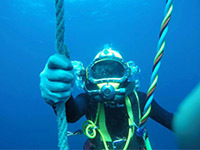 Our priority is equipping divers with the training and knowledge required to succeed, and be safe in their new careers. 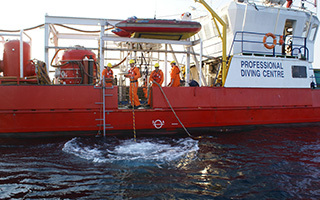 To offer this training, PDC has a unique range of highly qualified commercial diving instructors, diving gear and other equipment that you will not find and use elsewhere. Our commercial diving courses are approved by the South African Department of Labour, and are both both IMCA (International Marine Contractors Association) recognised and UK HSE (Health & Safety Executive) approved for working diver qualification in the United Kingdom. 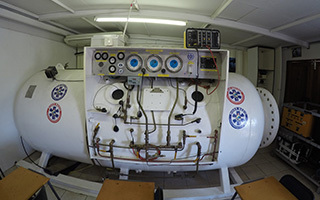 Why Train at the Professional Diving Centre Durban ? 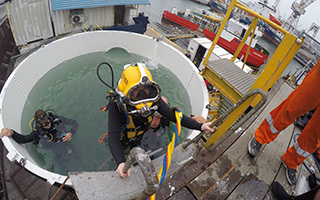 Situated in the real working harbour of Durban, PDC Commercial Diving School courses provide a wealth of experience that you simply won’t find elsewhere. Combined with an impressive array of modern equipment unmatched by most other schools, highly qualified and experienced staff, an excellent name in the industry and internationally recognised and approved qualifications, why would you want to train anywhere else?